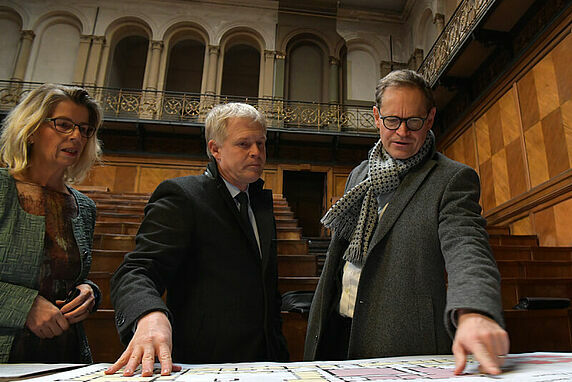 Managing Director of BIM, Birgit Möhring, President of the Hertie School of Governance, Prof. Dr. Henrik Enderlein and Governing Mayor of Berlin, Michael Müller. 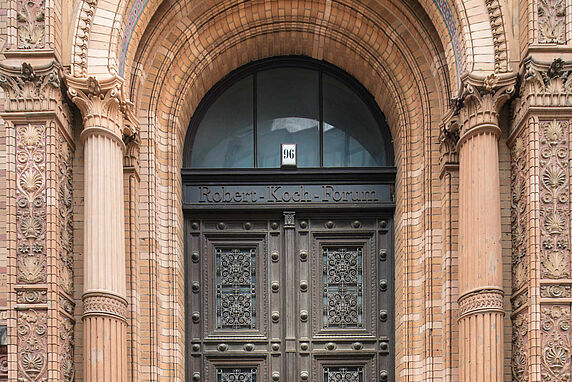 After an extensive renovation, the Robert Koch Forum will once again become a home to research and learning. The city of Berlin has made available an additional 42.5 million euros in its 2018/2019 supplementary state budget for this to happen. Where the 1905 Nobel Laureate Robert Koch once pioneered bacteriology and microbiology, more than 900 students, professors, and employees of the Hertie School of Governance will gather to learn, research, and work. 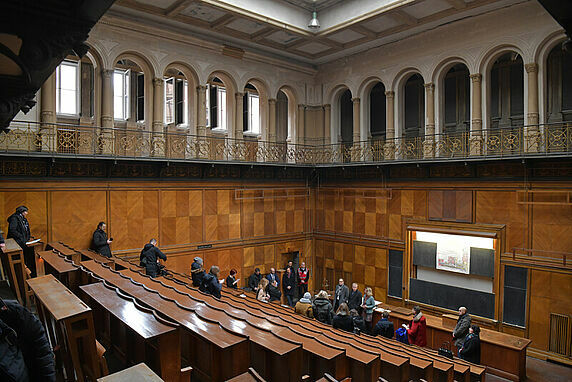 From summer 2022, the graduate school will become the main tenant of the imposing, Wilhelmine-era building, bounded by Dorotheenstraße to the south and Wilhelmstraße to the west in the district of Berlin-Mitte. 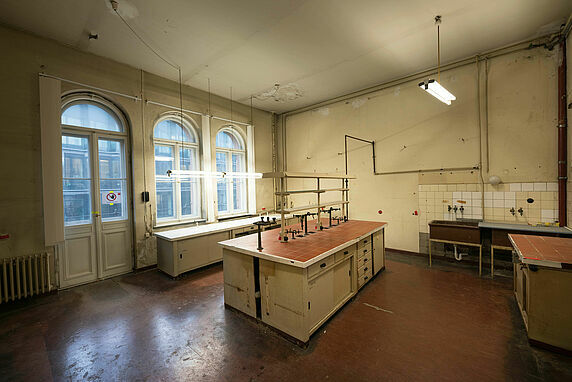 The Hertie School will become the neighbor of the Einstein Center Digital Future, which has called the building home since 2017. 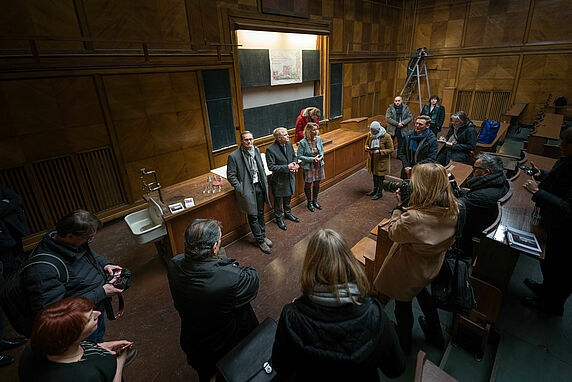 In addition, the Robert Koch Forum will serve as the coordinating hub for the Berlin University Alliance, a network comprising the Free University, the Humboldt University, the Technical University, and Charité University Medical School. Today, on Friday 1 February, the Governing Mayor of Berlin, Michael Müller, the President of the Hertie School of Governance, Prof. Dr. Henrik Enderlein, and the Managing Director of BIM Berliner Immobilienmanagement GmbH, Birgit Möhring, presented the plans for the Robert Koch Forum. 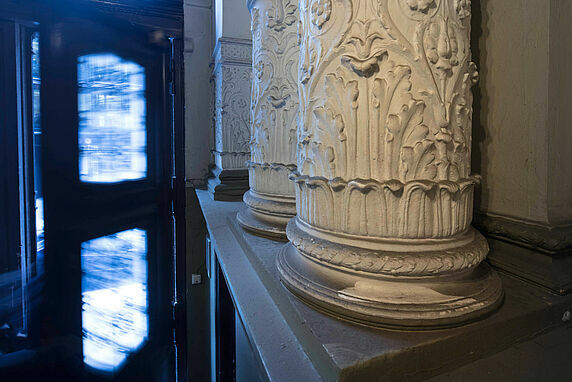 As Berlin’s city-owned real-estate agency, BIM will be in charge of the renovation and extensive building works. Founded 15 years ago by the non-profit Hertie Foundation, the Hertie School of Governance has grown continuously over the past few years. Itself a non-profit and entirely privately financed, the Hertie School is setting up five new centers of excellence for research and teaching in the fields of international security policy, EU governance, civil and constitutional rights, digital governance, and economic sustainability. The Hertie School’s current location, Quartier 110 on Friedrichstraße, has been its home since 2008. But the building near Gendarmenmarkt does not offer sufficient space for the school to grow. 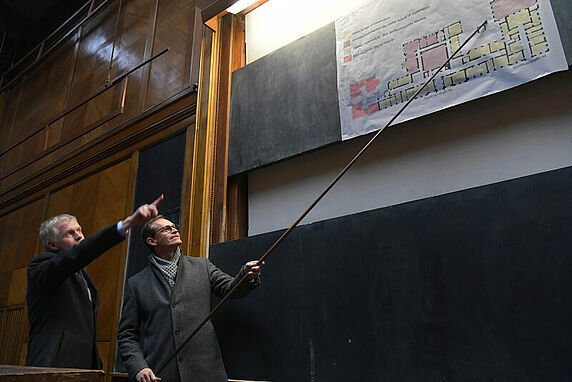 "Our plans for the Robert Koch Forum include the creation of 25 seminar rooms, a library with 80 work spaces, a variable-size event hall with up to 300 seats, and the integration of two existing, historical lecture halls. 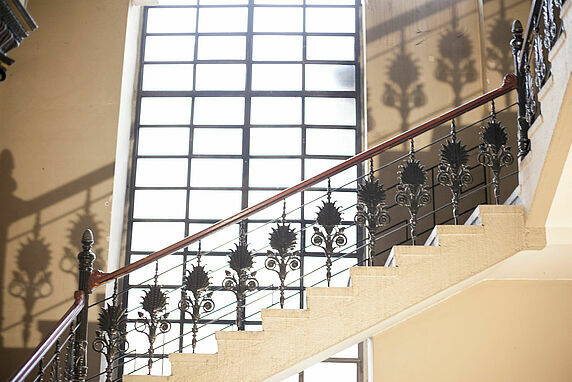 With our many public events, we will fill the historic building - its charming rooms and halls, its corridors and stairwells – with life," said Axel Baisch, Managing Director of the Hertie School. Birgit Möhring, Managing Director of BIM, said of the planned renovation: "The Robert Koch Forum is a listed historical building which we will renovate in close cooperation with the Hertie School of Governance. At the end of the project, the building will combine historical testimony with the modern requirements of the Hertie School. This participatory construction process will provide the property and the public with more added value. The Hertie School of Governance will occupy about two thirds of the 12,000 m² site." The complex known today as the Robert Koch Forum was one of the largest buildings constructed for research purposes in the time of the Kaiser and the short-lived German Empire. The site of the scientific, medical, and technical institutes of the Friedrich Wilhelm University (the precursor of today’s Humboldt University) occupies a trapeze-shaped area between Dorotheenstrasse and bank of the River Spree, Reichstagsufer. It was built between 1873 and 1883 at the instigation of the physicist Hermann von Helmholtz, according to plans by Paul Spieker, the architect of Friedrich Wilhelm University library. With K.A.F Zastrau and building inspectors Hellwig and Kleinwächter as important collaborators and site managers, the Physiologisches Institut at Dorotheenstrasse 96, the large lecture hall at the center of the building, and the director's apartment at the southwest corner were built from 1873 to 1877. The buildings of the Physikalisches Institut, on the corner of Reichstagufer and Wilhelmstraße, were completed in 1878, heavily damaged in the Second World War, and taken down beginning in 1955. Today, ARD Television’s main Berlin studio occupies the site. 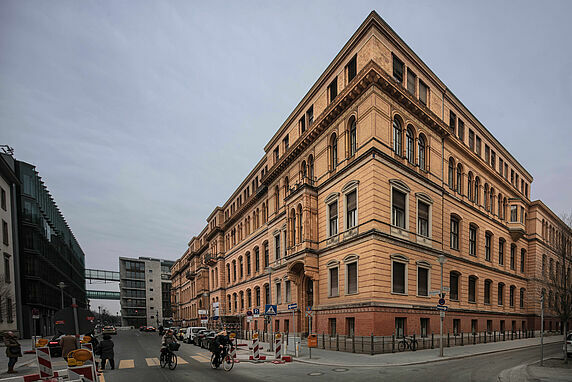 In a second construction phase, from 1879 to 1883, the Pharmakologische Institut was built on the corner of Dorotheenstrasse and Bunsenstrasse, as were other institutes on Bunsenstrasse. 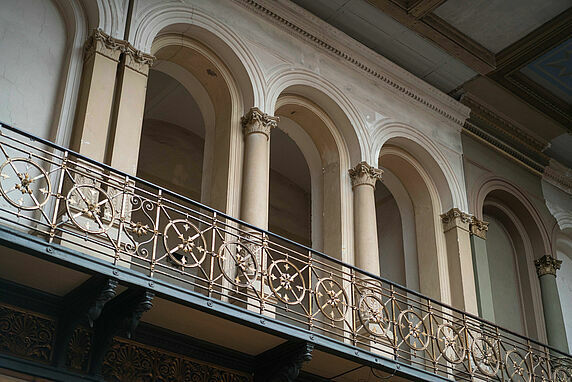 By 1900, the original two- and three-story buildings were deemed too small. The extension of the Chemische Institut was designed by the architect Georg Thür in 1907 – 1908 to complement the buildings finished in 1883. The Physiologische Institut, directors’ apartments, the Pharmakologische Institut, and a later extension, the Chemisches Institut, were built on the aforementioned streets. The complex’s attic story, visible today from Dorotheenstrasse and in part also from Bunsenstrasse, was also added later. The part of the complex at Dorotheenstrasse 94 and 96 was used by several institutions of the nearby Charité Hospital. Among others, the Charité’s Institut für Mikrobiologie und Hygiene and its Institut für Pharmakologische Toxikologie were housed at this address. 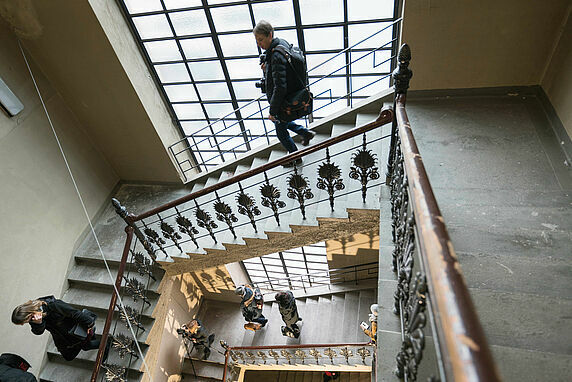 The complex was given the name Robert Koch Forum in recognition of the services of Professor Robert Koch, who was the first director of the Hygieneinstitut (Hygiene Institute) at Friedrich Wilhelm University from 1885 until 1891. On 24 March 1882, Koch gave his groundbreaking lecture in the institute library on the development of tuberculosis. In 1905, he was awarded the Nobel Prize for Medicine for his work on the subject. In memory of the lecture, the World Health Organization has declared 24 March World Tuberculosis Day. The entire complex is part of the city of Berlin’s Special Fund for General Public Provisions, the Sondervermögen für Daseinsvorsorge, or SODA for short. The section of the complex at Wilhelmstrasse 67 now houses the Einstein Center Digital Future. From 2019, the building will be renovated by BIM Berliner Immobilienmanagement GmbH on behalf of the Berlin Senate. Once completed, the building will again be a home for research and learning in the heart of Berlin. The Hertie School of Governance is planning to move in as the main tenant in 2022. The Berlin University Alliance will also be based here.